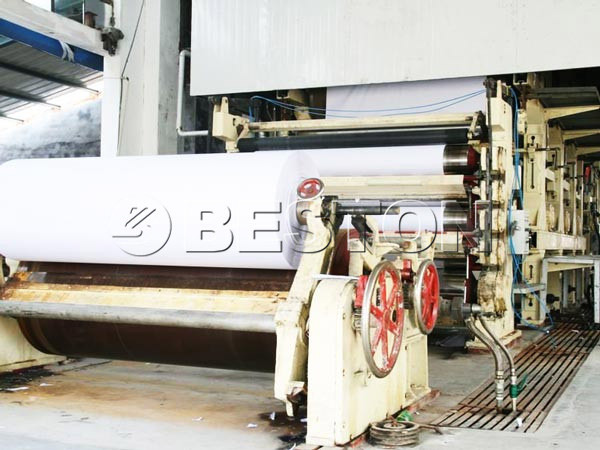 According to different composition of net part, paper making machine can be divided into cylinder mould paper machine and fourdrinier paper machine. 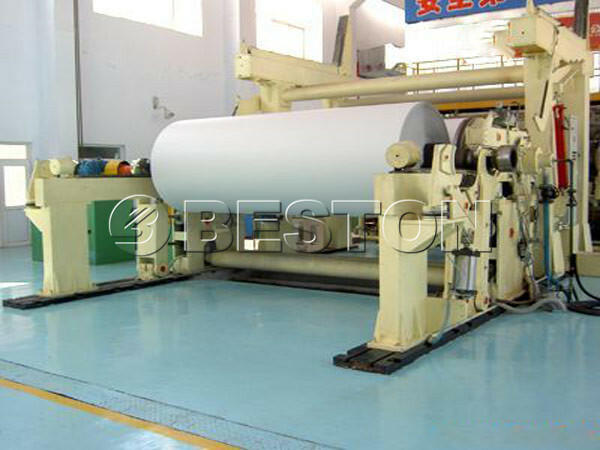 Compared with fourdrinier machine, the cylinder paper making machine has simple structure, small floor space, low investment cost, etc. It is widely used for making toilet paper, tissue paper, napkin paper, book paper, kraft paper, A4 paper, corrugated paper and so on. The cylinder mould paper making machine contains forming section, press section, dryer section, calender section. It is a joint equipment to make paper. 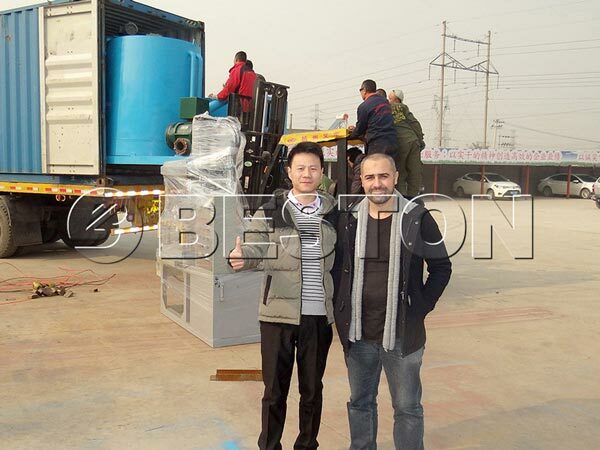 We Betson Machinery have many types of the machine for you to choose, such as BT-787, BT-1200, BT-1092, BT-1575, etc. The net part of the machine consists of round net cage, net groove and coucher. The forming process of cylinder mould machine is complex. And the forming process basically decide the ration and evenness of paper. 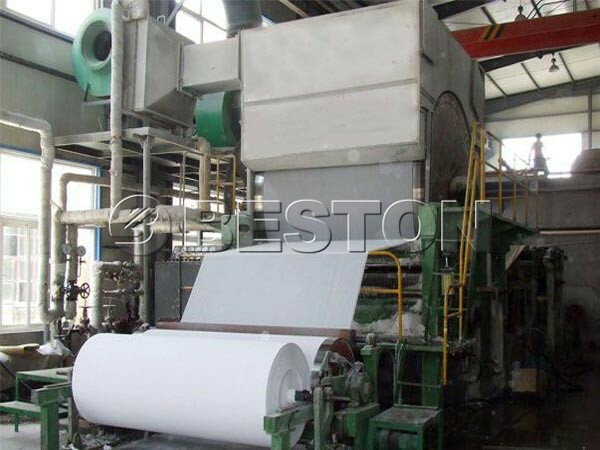 So, the net structure and technical condition are the important factors that can affect the machine’s productivity and paper quality. Cylinder mould: the paper is formed on the cylinder mould. The advantages of we cylinder mould: dewatering is uniform and the dewatering effect is good. Meanwhile, in order to prevent breaking the paper forming, the cylinder mould can not stir in the forming and after forming process. Beston cylinder mould can make sure good paper forming evenness. Net Groove: it is made up of headbox part and arcwall groove. The headbox is in the front of net groove. To prevent flocculation and subsidence of fibre, the headbox is used to make slurry distribute uniformly and have a certain of flow speed. The smooth surface of arcwall groove is designed and manufactured for preventing hang pulp and cleaning conveniently. Coucher: it has three functions. Firstly, it helps the blanket to drive the rotation of cylinder mould. Secondly, it can squeeze the wet paper to dewater. Thirdly, it can transfer the paper from the surface of cylinder mould to blanket. The coucher has high elasticity and high roundness. The soft rubber coucher that we adopted has little wear to cylinder mould. Adopting soft rubber coucher can prolong the service life cycle of cylinder mould. Various output capacity and configuration of cylinder mould paper making machines can be customized based on different needs of customers. 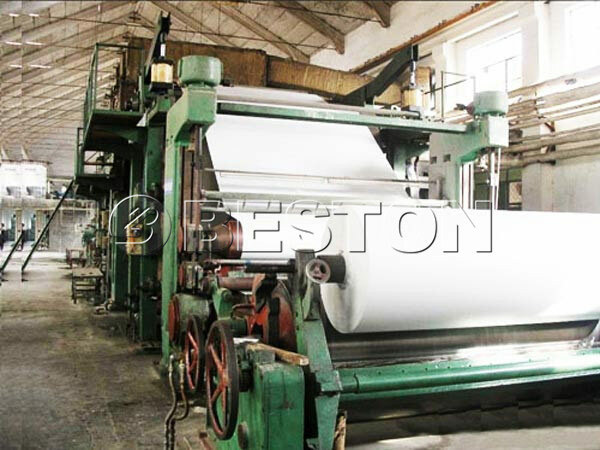 Beston Machinery is a professional cylinder mould paper machine manufacturer. Many customers around the world buy the notebook maker machine and napkin manufacturing machine from us. Our machines have already been exported to over 20 countries. The countries are Algeria, Egypt, Russia, Ukraine, Australia, Argentina, Brazil, Saudi Arabia, Libya, Syria, etc. If you choose us, we promise you high quality, competitive price and perfect after-sale service.